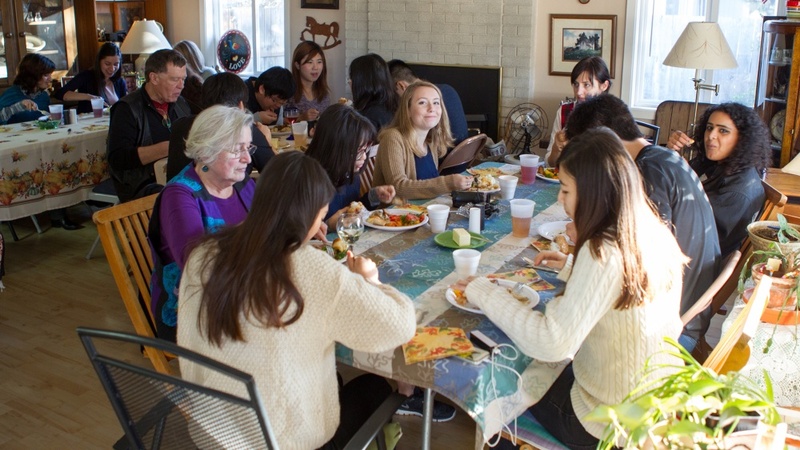 Every year since 1950, Eugene’s Friendship Foundation for International Students has teamed up with the UO to match selected international students with host families in the community for a short homestay. But currently, the program doesn’t have enough host families to accommodate the more than 80 international students signed up to participate in the homestay program for fall term. This year’s host family program is scheduled for five days, Sept. 9-13. To sign up, families only need to provide some basic information and fill out a short application, after which they are matched to international students who are just beginning their journey at the University of Oregon. The foundation will hold a family orientation Aug. 22 at the Erb Memorial Union’s North Crater Lake Room from 6:30 to 8:30 p.m. Since its creation, hundreds of international students and community members have benefited from the cross-cultural experience program. For five days, local families commit to easing selected new international students into their new environment. The Friendship Foundation has three main programs, the short-term homestay program, the Thanksgiving share program and the conversation friend program. To learn more or volunteer for the Friendship Foundation for International Students homestay program, email FFIS@uoregon.edu or download a digital brochure.